Promoted from deputy to interim director of Metro Nashville’s Parks and Recreation Department, and now director is Monique Odom of the Bordeaux area. NASHVILLE, TN — It’s practically ironic that metro’s new director of parks and recreation was an academic rather than a sports-oriented student before starting her career. “I was not a student athlete,” Metro’s Parks and Recreation Department Director Monique Odom says. “I am now a parent of a student athlete.” In school, she was an academic honors student. 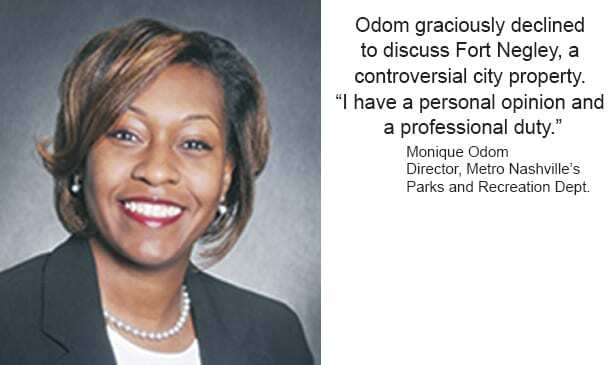 In college, her counter clerk job at Whiteway Cleaners was where she acquired “transferrable skills.” Named parks director last week, Odom still uses those skills. While she didn’t play team sports like soccer, she’s a team player. 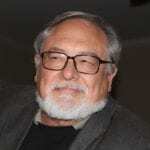 In 2009, “the department faced fiscal challenges.” Lynch became interim director when Odom was a finance officer, having been with the department since 2006, working on grants and other fiscal matters. Lynch and Odom developed a relationship of mutual respect. He listened to her ideas. She recognized he makes the decisions. After private discussion, they were a team to accomplish goals. As for African-Americans’ employment by metro, Odom says, “There are some deliberate efforts” toward having the workforce reflect the residents of the city. She wants the department to reflect Nashville’s demographics, but, “We’re not interested in quotas. We’re interested in well-qualified teammates who look differently, think differently, and can roundup our team.” She wants relationships with various organizations to diversify the applicant pool. The parks board promoted Odom. Applicants were limited to city employees. Human Resources received applications. Five parks employees were interviewed. The board unanimously selected Odom over two other finalists: Planning and Facilities Development Assistant Director Tim Netsch; and Jim Hester, assistant director of natural resources, cultural arts and special events. Barry and Odom welcomed people Saturday to Centennial Park for Celebrate Nashville, a multi cultural and ethnic festival started at the Scaritt-Bennett Center. The festival offers food, cultural dance and art. “In its infancy it was called a celebration of cultures.” Odom was on the festival planning committee while working for the Metro Human Relations Commission. She’s participated in Scaritt-Bennett’s diversity and dialogues program for talks on racial and social justice, and economic and health disparities. Born in Nashville on Feb. 29, 1972, a leap year, Odom can claim to be 11 years old. She went to Whites Creek High School, earned a bachelor’s degree at Fisk University and and a masters in public administration at Tennessee State University.